Having a truly unique fashion item makes an outfit yours and only yours. 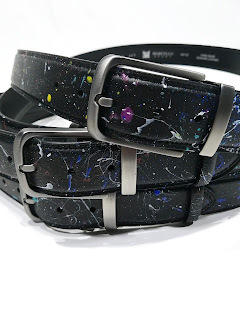 It is difficult to find really unique items and the folks at Justin Harvey have stepped up by providing hand painted belts and tees custom made by our exclusive artist. We love these belts, they are perfect for a bold casual look with your favorite jeans. 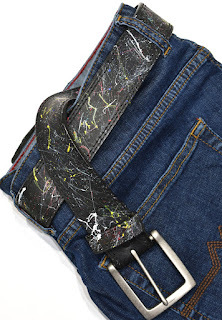 A simple outfit of Jeans and a tee shirt becomes artistic style when paired with a custom belt, providing a spark of color to an otherwise humdrum outfit. 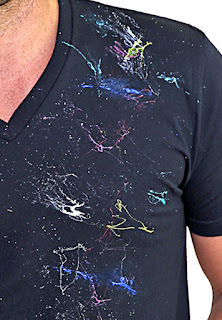 Having an item that gives that extra "wow" factor, regardless of what else you are wearing, expands your wardrobe and brings a fashion twist to outfits that would otherwise go unnoticed.